Former Super Eagles goalkeeper trainer, Ike Shorunmu says the team will dearly miss the services of goalkeeper, Carl Ikeme but insists Nigeria can beat the Desert Foxes of Algeria in the upcoming 2018 FIFA World Cup qualifier in Uyo without him. Ikeme has been the team’s safest hands since taking over from Vincent Enyeama who retired from the team last year in Nigeria’s goalless draw against the Taifa Stars of Tanzania in a 2017 Africa Cup of Nations qualifier in Dar es salam. He was also in goal as Nigeria conquered the Chipolopolo of Zambia 2-1 in Ndola, only to pick up a hip injury in last weekend’s 1-1 draw against Blackburn in a Championship game for Wolverhampton Wanderers. Although he will be missed if the injury deprive him of making another appearance for the senior national team, however, Shorunmu told soccernet.com.ng that he doesn’t believe his absence would affect the team against Algeria on November 12. 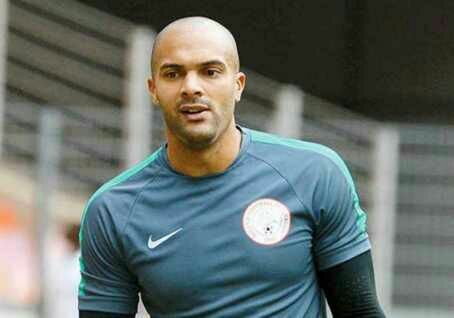 “It is very sad that the Super Eagles will miss Carl Ikeme considering the fact that he’s shown to be a dependable goalkeeper since the departure of Vincent Enyeama from the team,” Shorunmu told Soccernet.com.ng.